As an Entrepreneur, there are uncertainties at every step. One is always faced with decisions to be taken. Should I scale my company through equity funding or channel financing? Should I give my team answers from my experience or let them learn through their own experience? Should I recruit a person for training the team or should the learning be self motivated? At any given time, an entrepreneur is working on two or more of these areas: business development, recruiting senior positions, raising funds for growth, training the team, deepening his own knowledge, having a macro vision while working on the micro level. I have found LinkedIn to be useful in many functions. The practical perspective shared by veterans helps clear many a doubt. 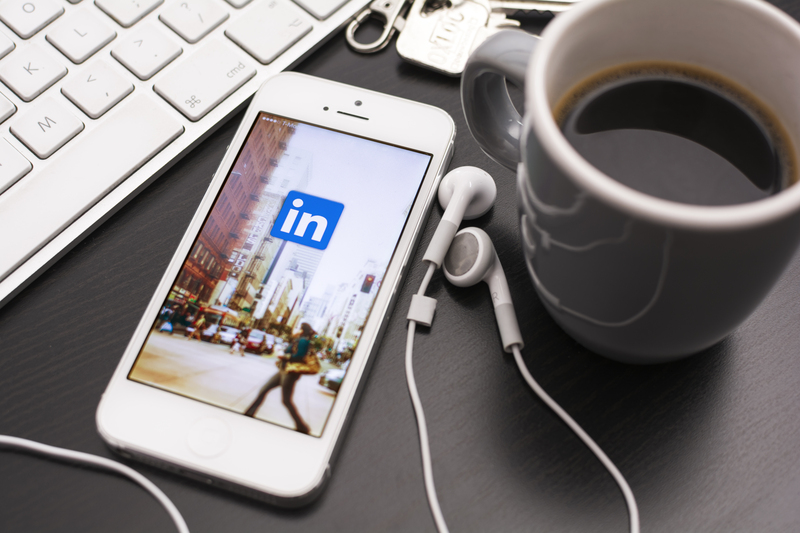 Here are 6 LinkedIn features I use, which makes it more than just a professional networking platform. Following thought leaders in the industry: I strongly believe in maintaining a balance between work and life. It re-affirms my belief when thought leaders second it. Mukund Mohan, Director of Strategy at Microsoft, recently shared an article about how the time spend after work helps you progress in your career. Similarly, Punit Soni, an investor based out of the Silicon Valley, regularly updates his thoughts on corporate work culture and its implications. One of his posts on the bias of the tech industry towards married women raised important questions. It is heartening to read that idealism is still in vogue. There are sector specific groups that you can follow or subscribe to Pulse, LinkedIn’s platform to publish posts. Expressing your opinion: LinkedIn is a great platform to share your thoughts relevant to your industry. Write about cases where you found an innovative solution to a problem in your company. Write about what you feel about the impact of gap in adopting technology in your industry or an aspect you want to take an action on. It lets people who are interested in the same areas connect with you, share their experiences and form a larger group for the cause. LinkedIn also lets you showcase developments in your company that may not be relevant to publish on Facebook or other social networks. Inmail: The USP of LinkedIn, I would say, is the ability to connect with veterans in the industry through Inmail. What makes it special is that you can write to a person without having their email address. It gives me the opportunity to seek a person’s expertise and thus help in decision making. eg: I can reach out to a Professor pursuing PhD in financial models to help me gain perspective on valuation of my company. Inmail lets me reach out to experienced professionals for senior positions in my company. It actually helps bring down the 7 degrees of separation to no degree of separation. It is important to be very clear in your message and what you seek from the other person. I have been fortunate to witness the spirit of giving back and knowledge sharing time and again. It is veterans in the industry who have helped with their experience in various areas of building my company. Introductions: We can connect with people on LinkedIn if we have studied in the same school or college, been work colleagues or share a business relation or have the other person’s email address. It is often that I want to reach out to someone completely new, with whom I will be interacting for the first time. Fear not! LinkedIn has a solution for that as well. Based on the principle of reference; I can connect with the new contact by asking a common contact to introduce me to the person. Even if I don’t have a common contact, LinkedIn identifies a person from my connections who has a common connection with the new contact; thus helping me reach out. It is the application of the theory of 7 degrees of separation in practicality. Being a Chartered Accountant, I did not have creative writers and brand specialists in my immediate connections. What could I do when I wanted to hire a Brand Manager for my company? I tapped into the Introductions feature of LinkedIn. It opened up another world of content specialists for me. Out of the Box ideas or Buzz Marketing: Recently Urban Ladder used LinkedIn as a Marketing platform. Their April Fool campaign included an advertisement on LinkedIn for the position of a Mattress Tester. If you have clarity and are persistent, you may get lucky with initiatives like Office Hours, introduced by Punit Soni. It is an amazing idea where you can get perspective from the Silicon Valley relevant to you Startup, right here in India. Similar to feature and Filters: This has proved to be very useful while looking for professionals from a particular field. Eg: I was looking for a professional who has experience in writing, content strategy and digital marketing. While browsing profiles of professionals who fit the bill, LinkedIn shows profiles of other professionals with similar experience. The list of filters provided by LinkedIn is extensive. In order to sort professionals, I can choose from years of experience, past company, location, languages spoken, department of work and more. Both of these help keep the search focused. The filters feature helps narrow down the professionals to a smaller pool to choose from. These are some of the features of LinkedIn that have helped me in my entrepreneurial journey. I am sure there are many more. Feel free to share your experiences with LinkedIn in the comments section below. Just like Mr.Bagchi’s quote, seeds that you will sow in LinkedIn will begin to bloom as flowers in your work trajectory like never expected.